Dr Luke Rickman completed a Master of Science degree in Prosthodontics after qualifying as a dentist and has the expertise to offer the full range of solutions if tooth loss has occurred. Tooth loss occurs for a range of reasons, and therefore there are a variety of factors to consider before commencing any treatment. Dentures are a viable solution for tooth loss if the situation is unsuitable for a bridge. 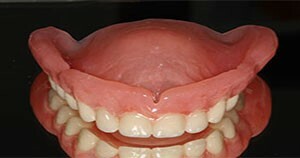 It is often possible to combine a denture with implants for enhanced retention, if required. 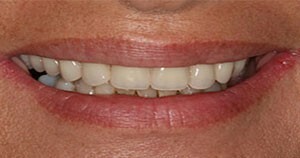 It is well known that the gum underlying dentures changes shape over time. Taking this into consideration with general wear and tear, dentures do need to be replaced or relined as the years go by. Regular dental visits will ensure that a denture is well maintained and enables Dr Rickman to check the health of the soft tissues of the mouth.